Views don't get any better than this. Watch the sun dip into the gulf of mexico every evening as the sunset fills the sky with bright reds and oranges framed by swaying palms. Beach homes 18 is a true gulf-front 4 bedroom, 3 bathroom home inside the gates of south seas. This two-story home has just been exquisitely remodeled in the coastal contemporary style and no detail was overlooked. The open kitchen features beautiful cabinetry and an eat-in island table. The beautiful flooring complements the warm feel of the property and the bright open living room with vaulted ceilings. All of the bathrooms are beautifully redone with an eye toward subtle elegance. The top floor features a beautiful den/sitting area leading the way to the private master suite. The top floor also features a private open deck. This property also features a beautiful large screened lanai, impact glass throughout, and a very rare private golf cart garage attached. This is truly the beach home you've been waiting for. Summer never ends here! The extraordinary location of this lands end penthouse offers a perfect balance of privacy and astonishing views letting you enjoy the dolphins playing, the manatees meandering in and out of the pass, the pelicans dive bombing from 50 feet into the pass, yachts navigating, and fun-filled tourists rushing by in boats clapping to try to see the dolphins. This elegant condo is a spacious and inviting getaway with unmatched conveniences and amenities. An opulent foyer separating two en-suite bedrooms with private balconies and living area and a penthouse level perceiving pure signature with en-suite master features sitting area, walk-in closet and opens onto the deck offering amazing redfish pass to gulf views. Master bath features an over-sized walk-in shower, dual sinks and skylights. You truly have to see to believe when it comes to the quality and workmanship of this head-to-toe furnished 3 bed condo. One of only 8 seabreeze villas. Tastefully remodeled and updated for family use only. Never rented by current owner. This 3 bedroom/3 bath villas is directly bayfront and also offers panoramic views across the golf course to the gulf of mexico. Considered one of the most desired locations within south seas island resort. What a great vacation or investment property! You'll love this expansive 5 bedroom, 5 bath home in the captiva village area. Sleeps 10-12. 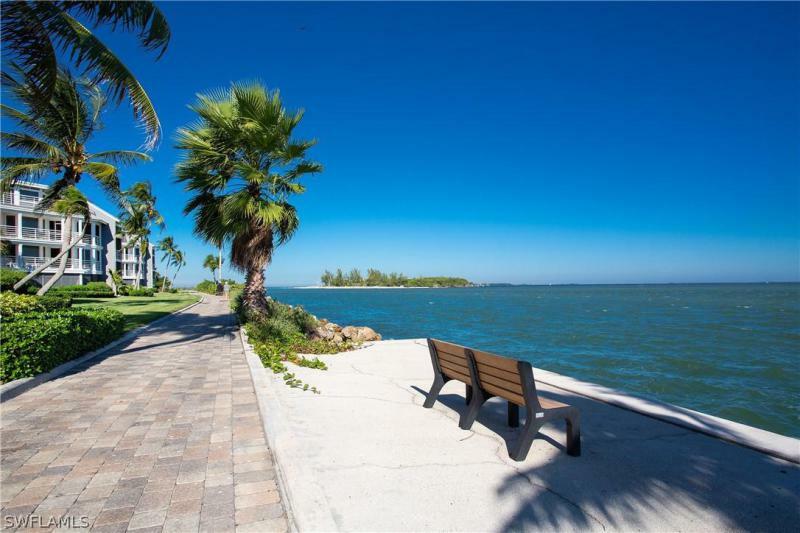 Everything- the beach, restaurants, art galleries, captiva chapel, jensen's marina, the bay & more are a short walk from this outstanding home. The chef's kitchen & living-dining area are open & inviting. Kitchen has a gas cooktop, wine cooler, breakfast bar, crafted cabinetry, & beautiful granite countertops. A fireplace, high ceilings, and loads of light are highlights of the main floor which includes 2 bedrooms with ensuites. The huge master bedroom features a coffee bar & electric fireplace w/stone facade creating an intimate, luxury look & there is a second master suite as well. Rooftop sundeck, pool w/spa, hardwood floors, 2 car garage, private elevator, & more. Great rental income in the kingfisher program. Captiva island offers a high end but laid back island experience. Walk down to the mucky ducky for sunset drinks, rent a golf cart from yolo, look for shells on captiva beaches, hang out with the manatees at jensen's marina, or parasail for that bird's eye view. Lush, tropical, sought after - this is a magical place. Search no further for your tropical oasis. Welcome to land's end at the world-renowned south seas resort, nestled at the very tip of captiva island where the bay & gulf of mexico adjoin. This exceptional penthouse boasts an open floor plan, allowing for breathtaking views. This lovely unit has been renovated with modern finishes, travertine tile flooring, and offers a relaxed coastal feel. The master suite offers magnificent views from the large terrace overlooking the golf course and sparkling gulf waters. The master bath boasts modern finishes as well, including a large jacuzzi tub, and a spacious shower. There are also two additional guest room en suites. This world-class resort offers the very finest amenities & activities. A 9 hole 27 par course overlooking the sparkling waters of the gulf of mexico, tennis, 2. 5 miles of private pristine beaches, several lap pools, spa, fitness center, walking, and bike paths, and several restaurants offering casual or elegant dining for occasions. Come and escape to this 330 acres of wildlife and preserve where the coastal playground and choices are limitless! Excellent rental income in south seas rental program with flexible owner use.